In May of this year, we had our carpets and some upholstered furntiure cleaned by Fibertec Carpet & Upholstery Care owned by Try and Danielle Holt of Cadillac. We found them to be young, enthusiastic and very professional in the way they approach their business. Prior to the cleaning, they visited our home to fully assess our needs and followed up after the cleaning with a visit and phone call. We shared our carpets with two golden retrievers for several years and they needed cleaned often. 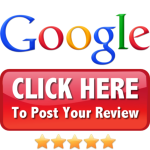 We found Troy and Danielle did an excellent job and their approach to it was impeccable. They take a great deal of pride in their work and you will find it reflects in the finished job. We highly recommend them – give them a try! Recently, Troy and Danielle Holt of FiberTech cleaned our badly stained tile and grout and also our light colored carpeting. The carpeting had dark staining under the doors and around the perimeter of the rooms. These areas had been professionally cleaned before, but the stains remained. Troy and Danielle were able to successfully remove the stains in both the group and carpet. They are not only meticulous in their work, but they are professional, prompt and courteous. Needless to say, we are very pleased with the results and will definitely have Troy and Danielle again. Not only were we saved from replacing the carpeting, but also, from the tedious job of painting a large area of grout. It is our privilege to recommend Fibertec Complete Carpet Care, Troy Holt, owner, to you for your carpet cleaning needs. The cleaning service they provided our office was very well done. They not only cleaned carpets, but stripped and waxed a linoleum floor and cleaned some of our office furniture. Troy and Danielle are both very personable. They were more than willing to work around our office schedule. The job was done quickly and to our satisfaction. We would not hesitate to use Fibertec again in the future, as the need arises. As a business owner I have many choices when it comes to the people I hire to maintain the appearance of my office. From the moment I met Troy and Danielle Holt – I knew that FiberTec would do a good job for my company. From the time of quote to the completion of the job – FiberTec exceeded my expectations. They scheduled the cleaning on a Saturday and by Monday morning the carpet looked like it did when we moved into the building two years prior. The upholstery that was cleaned according to the job specifications lookd fantastic as well. The final cost was well worth it, and I was very happy with the entire process. I was so impressed with the job they did at my office that I hired FiberTec to clean the carpets at my residence. Troy and Danielle moved my furniture to clean the carpet – instead of the previous carpet care company I hired in the past who only cleaned around my furniture. They took great care while in my home – and were very detailed oriented. As part of the job they also cleaned the grout in my tile bathrooms and again I was very happy with their work. I highly recommend FiberTec – A well organized, honest, detail-oriented company. I am very pleased to recommend Fibertec Complete Carpet Care as an excellent carpet and upholstery cleaning business. Troy and Danielle Holt run a very professional service, and they have been able to remove stubborn stains from my carpet and furniture that no other carpet business has been able to do. Danielle is a very capable salesperson who calls before they arrive to discuss what needs to be done, and who also calls a week after they have completed their service to make sure that the customer is satisfied. She is very friendly, capable and reassuring. Troy is an excellent businessman and profectionist who works very hard to make sure that every last spot is taken care of before he leaves. Together, they make a great team; their competence and friendliness are an unbeatable combination. I have recommended Fibertec Complete Carpet Care to many of my friends, and I know that they have all been pleased with their results, and plan to call them again in the future. Our Experience with FiberTec, Troy and Danielle Holt, has been both positive and a pleasure. Our home is open to a great deal of traffic and because we seldom enforce the “shoes off” rule, our carpets need a thorough cleaning several times a year. Both my husband and I were pleased to find Troy and Danielle to be very hard working, enthusiastic, and dependable. Scheduling was made easy, they arrived on time and proved to be very extremely meticulous as they cleaned all of our carpets and some pieces of furniture. They allowed sufficient time to perform their work and were careful to make sure that they met their own cleaning standard before verifying that we were completely satisfied too. They were efficient in their work using proper and well-maintained equipment. We found Danielle and Troy to be personable and sincere. They even called us later that day to reconfirm that the job was well done and a callback unnecessary. We were very impressed with the work done by FiberTec and the professionalism shown by Troy and Danielle Holt. We would highly recommend their company for any commercial or private cleaning needs.